‘Yes! !’ I said, perhaps not entirely to myself judging from the pained look from a fellow browser next to me. Remembering the vow for a moment, I scanned the back page with my smartphone app. Then, feeling mean and irresponsible, I bought the book. Reader, it was worth it. To in-depth astrology, that’s where. Both the hard sciences including genetics and the symbolic arts including astrology are attempting to put comprehensible frameworks round a vast puzzle: why are we here, and how can we best cope with the unpredictable and often brutal uncertainties of life? This being the case, I find it deeply dispiriting that they have increasingly been at odds with one another since the dawning of the Scientific Revolution. We need complementary disciplines, surely, to help us live as constructively as possible on our beautiful, fragile planet. My excitement at the back cover quote from “The Epigenetics Revolution” therefore arose from the link it instantly made for me between the practices of both genetics and in-depth astrology. Most astrologers would agree that the complex patterns revealed in an individual’s horoscope can express themselves in a range of possible manifestations from the same core. That quote regarding the genetic code struck me as being remarkably similar to what astrologers find in their practice. Geneticist Nessa Carey is a very clear, entertaining writer. She uses vivid analogies from everyday life to illustrate an incredibly complex web of varied influences – both before and after birth – carried by infinitely subtle chemical messengers, which modify our DNA epigenetically to produce, as she puts it, considerable variations on life’s basic script. Theatrical analogy is also very useful to astrologers. Along with, no doubt, many of my astrologer colleagues, I invite my clients to think of their horoscopes as a stage with the planets representing the characters standing quietly on it, waiting for life’s script to unfold from their birth moment. I explain that I can certainly portray accurately the essence of each character illustrated by the ten planets, their ‘style’ as illustrated by the sign they occupy, and their location in terms of which houses are tenanted. I can also describe their dialogues and interactions, pointing out how different the conversation is between eg Moon square Saturn and Mars sextile Uranus. However, I tell them that I cannot describe with unfailing accuracy the whole range of possible branches which arise from each core character or archetype. I have seen, often enough, how for example one person’s Moon square Saturn expresses very differently from another’s – this is true of every other horoscope pattern. This is also true in observing clients’ varying responses to the challenges and shaping influences of transits and progressions. It can be difficult – if not impossible – to work out why one person emerges battered but strengthened from eg a lengthy Pluto transit to several planets, whilst another of the same age, with a very similar horoscope, emerges battered and beaten. Neither has epigenetics, as yet, come up with a full explanation of why some genetic variations occur in some circumstances, but not in others of remarkable similarity. I have long grappled to understand at least something of the essence of what quantum physics has revealed regarding the contradictory vastness of the energy field in which we exist, and the patterns arising therefrom which appear to interact to create the whole of life of which we are part. My conclusion is that practitioners of both the hard sciences and the symbolic arts are considering the same vast energy field, and attempting to describe in different but essentially complementary ways, those mysterious patterns that shape our lives. Wouldn’t it be great if we could share our knowledge? This post is a slightly edited version of my bi-monthly column for Dell Horoscope Magazine ‘The astro-view from Scotland’ from the September/October 2018 Issue. Anyone who has ever written a regular column will know that there are times when inspiration is – not to put too fine a point on it – notable by its absence. At other times, so many ideas are flying around that catching one by the tail to pin it down is, to say the least, tricky. And – you never know, as the last deadline is met and you can now relax for a few weeks – which set of conditions is going to prevail the next time. So, Reader, there I was, new deadline appearing over the horizon, and…nada. Nix. No–thing. At all. Braincell dry as an old chewed-up bone. In this situation there are generally two options: blind panic – or blind faith. I have six fiery planets. This is often a curse, let me tell you, but in the matter of column deadlines, it is a blessing. So, armed with nothing but blind faith, I headed for the office. “Ping! !” went the braincell, hit by a mini bolt of inspiration. I had my topic. I’d ruminate on what it was that inspired me to take up, and continue, the long-term study and practice of astrology. That decision certainly changed MY life forever. So – what was it ? Was it my youthful awe as I watched the Northern Lights enacting their glorious colourful dance, just above the skyline near our house? Perhaps it was lying cosy in bed, listening to the roaring gales of January tearing the world apart – wondering what the Power was behind that raging wind. Was it the growing excitement, as I grew up, of being able to spot familiar constellations in the clear, unpolluted night skies of my native island? 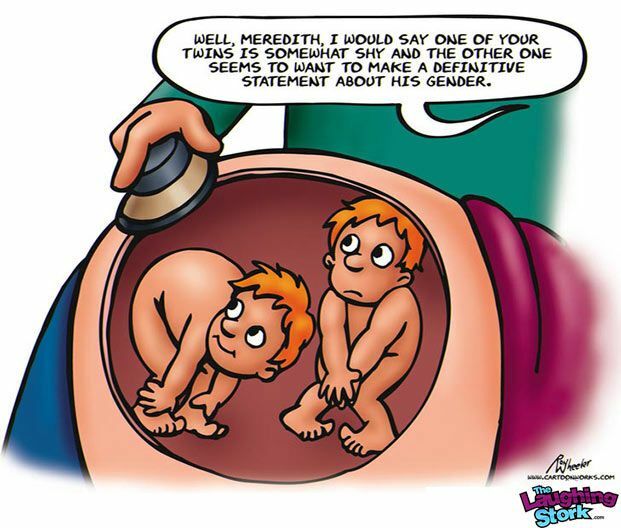 Or – maybe the Fates had already decided, leaving me a clue to be decoded many years later, via the placement of Uranus, the astrologers’ planet, at 25 Degrees of Gemini, in the tenth house of my natal horoscope? 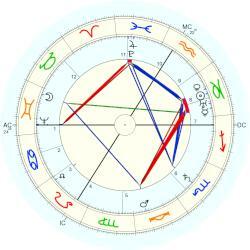 Furthermore, when I was 27 years old, progressed Sun crossed asteroid Urania, placed at 19 degrees of Virgo in my first house, square tenth house Uranus. That year, as mentioned in an earlier column, I had a totally random encounter with a pair of astrologers who predicted my future astrological career. So – did I choose that career or did I come in with it already chosen? Was it Fate, or free will? We will, of course, never be able to answer that question. MY conclusion, hardly stunningly original, is that we dance to the tune of both. There are times when the power of Fate feels strongly present. Other times, the unglamorous wrestle with inertia, poor judgement, and other ills to haul our lives into a reasonably satisfying shape feels very strongly to be determined mainly by our own conscious efforts. In the latter case, a major ingredient in the shaping process, in my opinion, is the power of inspiration. At twenty-four years of age I was fortunate enough to have what I later realised was a mystical experience, something which has continued to inspire me. This may well have created a spiritual backdrop for the subsequent encounter with astrology as foreground; when I met those astrologers I was going through a crisis involving wondering what, after all, my life was FOR…not an uncommon state for one’s late twenties! Their accurate reading inspired me to investigate astrology further, initially via the UK’s Faculty of Astrological Studies. On discovering that I, too, could produce accurate and affirming feedback from those strange marks on a piece of paper which seemed helpful to people trying to understand themselves better, I was hooked. For the rest of my life. Astrology has continued to inspire because it continues to challenge me. It challenges me because we are working with living energies, patterns whose essential meanings we have established over millennia, but whose manifestations are endless and only partly predictable. Despite decades of experience, I still get that tight anxious feeling before every new client I see, being very aware of my responsibility at least to do no harm, at best to help the person before me see their life in a more constructive, bigger context. This post is a slightly edited version of my bi-monthly column for Dell Horoscope Magazine ‘The astro-view from Scotland’ from the January/February 2018 Issue. Martin Luther has been bugging me for weeks. No, he hasn’t been trending on Twitter. In fact, he has been dead since 1546. So – why my preoccupation now? 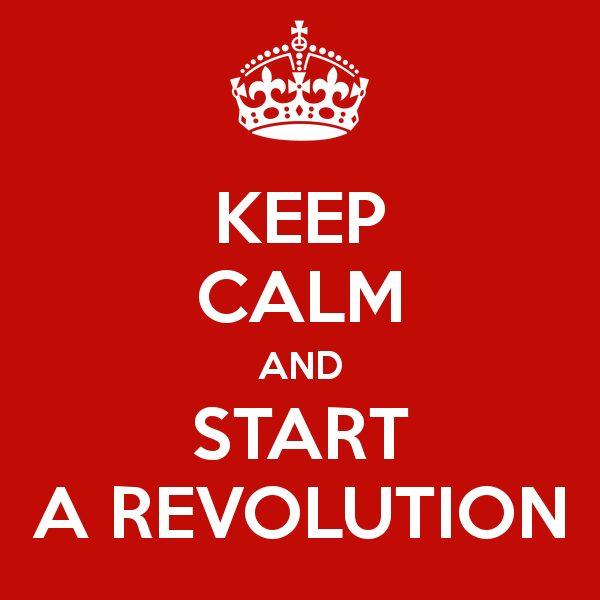 Revolution – is it here? Here’s why. Looking round our highly unstable world – at the parlous state of the planet, the rise of China and the East, the malign interference of Russia in other nations’ affairs, the Trump factor, the disastrous incompetence of UK politicians in attempting to carry out our narrow vote to leave the European Union with huge attendant turmoil, the continuing clamour for Scottish Independence – my spinning mind has turned once again to contemplating the big planetary cycles. This turmoil feels as though we are undergoing a collective revolution at a number of levels, given how interconnected the world now is – hence my thoughts turning to Martin Luther, one of history’s great revolutionaries. As you read this post, Jupiter has recently moved into Sagittarius, with Saturn advancing toward conjunction with Pluto in Capricorn in 2020.… very apt imagery for that defiant, outspoken Scorpio cleric Luther nailing 95 objections to church policy onto a hard church door on All Souls Day 1517 in Wittenburg, Germany. It is doubtful whether Martin Luther ever physically did this – but there is no doubt that his standing up to the corrupt might of the institutional Catholic Church, the year after Pluto moved into Capricorn in 1516, triggered off the Reformation, a religious revolution that changed the world. Fast forward to the period 1762-1778, the next time Pluto traversed Capricorn. This saw a great expanse of European colonialism, as well as the American Revolution followed by the Declaration of Independence in 1776. However, arguably the most far-reaching changes of the period came through Scottish inventor and mechanical engineer James Watt’s improvements to steam engine technology: the primary driver of the Industrial Revolution. This led to the massive expansion in industrial and technological advances which have given us the world we have now. Two Pluto through Capricorn traverses – two world revolutions. Going further back in history through Pluto in Capricorn cycles reveals similar patterns of deep upheaval both in terms of our planet and human culture. Astrologer Michele Finey’s recent summary is worth checking out for more detail on this topic. According to a recent report by the charity Oxfam, basing its research on the Forbes rich list and data provided by investment bank Credit Suisse, the world’s eight richest people have same wealth as the poorest 50%…the vast majority of people in the bottom half of the world’s population are facing a daily struggle to survive, with 70% of them living in low-income countries. “From Brexit to the success of Donald Trump’s presidential campaign, a worrying rise in racism and the widespread disillusionment with mainstream politics, there are increasing signs that more and more people in rich countries are no longer willing to tolerate the status quo,” the report said. Signs of this unwillingness to tolerate the status quo abound. The recent transit of Jupiter through Scorpio, one of the other significant planetary patterns adding to Pluto in Capricorn’s revolutionary impetus, has seen the worldwide MeToo grassroots anti-abuse movement; young people in the USA in mass protests against school shootings and the gun laws expediting them; and youthful protests worldwide against climate change. Just recently, the UK’s incomparable David Attenborough’s Blue Planet series, shown world-wide, has graphically presented to all of us the devastating damage being caused to our seas by plastic pollution. We are at last beginning to take collective responsibility for this huge problem. Humans have had to live through the pain, turmoil and upheaval of revolutionary change since the beginning of time. Why should we 21st Century folk think ourselves exempt? However, as part of the departing baby-boomer generation who will not live to see the shape of the new world order arising, I take great comfort from the increasing bottom-up challenges we are seeing to a world too long managed from the Top Down. In the midst of our current chaos, the Millennial generation arising, bred on interconnected technologies, is using them to push for a less materially exploitative, more equal world order. Recently I had the good fortune to meet two dynamic young women friends for coffee: one (about to hit her Saturn Return) returning home to Saudi Arabia. She is intent on using her chemistry PhD to make an impact on the increasing global threat of antibiotic resistance. The other, a Scottish community activist and parent who has achieved great things locally in bringing children, parents and teachers together outside to enjoy the benefits of spending time in nature. This has involved strenuous bottom-up community efforts, attracting worldwide support as the Children’s Wood campaign grew – thus preventing our local authority from selling off a precious bit of local wild land to developers planning to build expensive housing there. 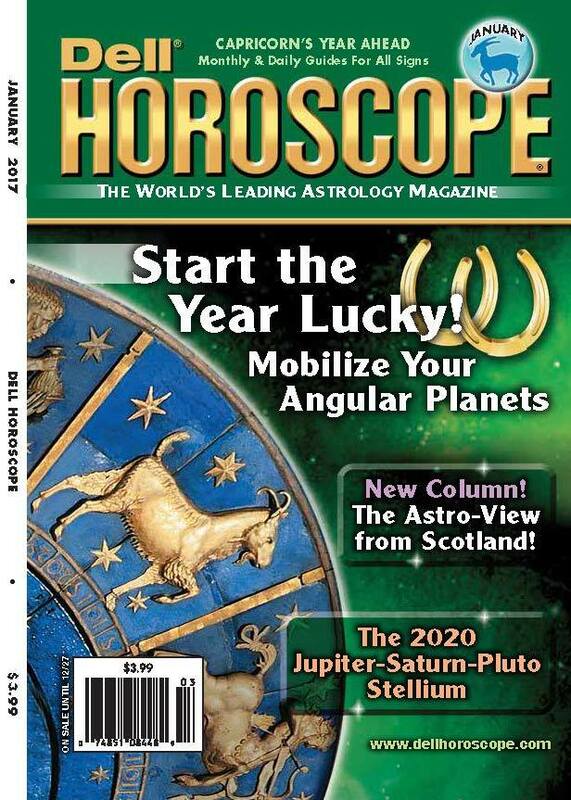 This post is a slightly edited version of my bi-monthly column for Dell Horoscope Magazine ‘The astro-view from Scotland’ from the January/February 2019 Issue, now out. I always seem to have a favourite word. Maybe that’s one of the hallmarks of being a writer. It’s probably tiresome for other people when I cram it into conversations. By now, I’m sure you are quite desperate to know what the damn word is this time. Ok. It’s ‘liminal’. From the Latin ‘limen’ meaning ‘threshold’, it refers to that stage in life when one is hovering…departing from what is in the past: not quite at home here in the present: not quite arrived there, in the future…it’s an uncomfortable, fluid state to be in, but highly creative and full of potential. I don’t know about you, but this to me sounds just like where we are collectively on planet Earth at present. Let’s hope in the long run – which we baby-boomers likely won’t live to see – we end up with something better than the mess we have now. ‘As above, so below’ : no contemporary astrologers have come up with a pithier definition of the essence of our art than did fabled Ancient Egyptian sage Hermes Trismegistus in the equally fabled Emerald Tablet. 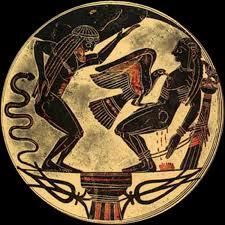 Hermes was conceived as apparently hovering between the divine and human worlds. Down here in that all-too-human world, thinking about Hermes in relation to the world ‘liminal’ is providing me with some inspiration; much needed in my case, as I hover uncomfortably and uncertainly between the end of one 12 year Jupiter cycle, and the beginning of a new one. Jupiter cycles have always been a big deal for me, since third house Jupiter at 19 degrees 07 Scorpio squares all six of my Leo 11th and 12th house planets. I wrote about the dubious but transformative delights of this astro-lineup in my very first column for Dell. This idea of hovering between the divine and human worlds might be of some comfort and inspiration also to those of you readers who are ending one cycle at present, without being able to see how the energy of the next one is going to form. Standing in this liminal place, one cannot bully, cajole or entreat the new order to reveal itself. There is divine time, and there is human time. This may sound pretty mystical, but my feeling – from both personal and professional experience– is that the deeper wisdom of our soul knows the direction in which we need to proceed in order to become all we can be, and how long it may take to get there. The astrological cycles can put us in touch with that spark of divinity within each of us, offering profound insights into what a waning cycle has been about, and what the newly-forming one might bring. They also teach us that ‘… there is… a time to every purpose under the heaven…’ (i) . 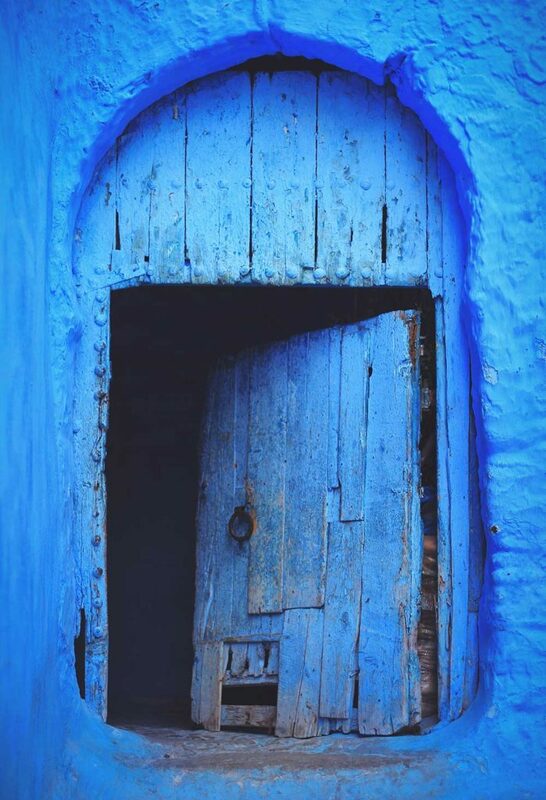 Our egos, located in human, ordinary time, can often rail against this when we don’t like what we see of the shape of things to come, or how long a particular transitional period is going to take. Try consulting your ephemeris, as I did at the end of 1998, to realise that I was about to have a series of sixth house Neptune oppositions to twelfth house planets lasting from 1999 until 2012, as well as the ending/beginning of five major cycles. It was some immersion, I can tell you. Did my ego rail against it? You bet. I had to quit my career in 2002, and did not begin to surface, via writing on the Web at first, until 2008, not returning to consulting and teaching until 2012. But guess what? I now look back on that period, when I felt liminal approximately twenty-four hours a day for years, as the most soul-enriching of my entire life. One of the many lessons I took from that period was to pay close attention especially to the feelings of restlessness, dissatisfaction and uncertainty which herald the end of, for example, the 29-30 year cycle of Saturn which we all share. Many of us recall – or are experiencing now! – the turbulence and pain of the end of our twenties, from which most of us emerged or will emerge by around the age of thirty-three with a much clearer idea of who we are, and most importantly, who we are not. Those difficult feelings and experiences occurring in the twelfth house phase of any major cycle are part of the dissolution of the old order of that part of our lives. An ending must take place– so that new energy may arise, taking us forward to the next stage of our unfolding. Astrology’s great gift is to show us that we are not random butterflies pinned to the board of Fate. We each have our small, meaningful strand to weave into life’s vast tapestry. In the end, it was consent to my tough and frightening period of liminality, patient waiting, the love and support I was fortunate to have, and trust in the wisdom of the Unseen that got me through. This slightly edited version of my bi-monthly column for Dell Horoscope Magazine first appeared as ‘The astro-view from Scotland’ in the May/June 2018 Issue. 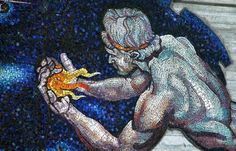 Jupiter in Scorpio, astrologers and Prometheus – a cautionary tale..
“…The Titan Prometheus was a pretty arrogant fellow, in my view. According to Greek myth he stole the fire of knowledge from the gods, hidden in a fennel stalk, to give to humanity for our enlightenment. Did he consult any humans beforehand, to see if we wanted such a double-edged gift? To the best of my knowledge, he did not. He thought he knew best. For this blatant act of hubris, ie thinking you are as smart as the gods, he was savagely punished by Zeus, their king. You probably know the story, but it bears repeating, just to remind us that hubris is not a good idea. Chained to a rock, Prometheus had his liver pecked out by an eagle on a daily basis; it regrew overnight – the punishment never ended. In astrology the planet Jupiter, named for the king of the gods in Roman myth, rules the liver. In the Prometheus myth, the liver was chosen as the focus of torture because the ancient Greeks regarded the liver as the seat of life, soul, and intelligence. So – wherever Jupiter is in your horoscope, that’s where you are compelled to seek to broaden your experience, widen your horizons, deepen your knowledge. However, the myth would appear to suggest that you need to be careful with the results of your quest and its impact on both yourself and others. Jupiter has very recently moved into the sign of Scorpio, ruled by the Lord of the Underworld, Pluto. Wherever Scorpio is in your birth chart, that’s where the soul-enhancing benefits of deepening your understanding and experience within that dark terrain can be gained over the next year. Jupiter in Scorpio crops up often in the horoscopes of astrologers, as do Jupiter/Pluto aspects, or Jupiter in the Eighth House. This should not be a surprise, either to astrologers themselves or those who know them. Astrological knowledge is powerful – as such, it is potently attractive to those of us prepared to do the in-depth work required in order to become fluent enough to practice as astrologers and/or astrology teachers. However, with such deep knowledge comes a warning, which Prometheus should have heeded; one which astrologers should note, if they have the wisdom and humility to do so: fire burns. By acquiring such powerful knowledge, hidden from most people, we are procuring the gods’ fire. That fire can burn us as it did Prometheus. It can burn our clients and students too, if we are not careful. Consider this example from my life last year: late in May 2017 I was preparing to attend the Student Astrology Conference in London on 2-3 June. There had recently been two major terrorist attacks on the UK: one in March in London, the second in Manchester just over a week before we were due to set off. One of the key transit patterns common to those attacks was the long square between Saturn in late Sagittarius and Chiron in late Pisces. I have a Uranus/Mars conjunction in late Gemini/early Cancer in the tenth house. Observing the ephemeris with increasing disquiet, wondering what unpleasant collective events might be triggered by transiting Mars moving through Gemini and once again setting off the Saturn/Chiron square, I suddenly realised that I was ‘plugged in’ to this pattern. Mars would be exactly triggering my Uranus/Mars midpoint, opposing Saturn transiting the fourth house and squaring transiting seventh house Chiron. On the London Conference weekend. Given the overall picture, I was worried to say the least. What should I do? Should I tell my husband, thereby alarming him? (Fortunately he is an Aquarian, and not easily intimidated!) Should we cancel our trip? It certainly looked as though some unpleasant surprises were coming our way. In the end, having decided that all this difficult symbolism was contained within an overall protective grand kite pattern involving my horoscope and transiting planets, I concluded that things would be difficult, but not directly involving me or us. So it proved. One hour before we departed on 1st June, a close relative called me to say his wife was going to have surgery soon for breast cancer. At Euston railway station in London, tired from travelling, we got into a black cab with a driver who blasted us with the full force of his rage against the world for the full half hour it took to get to our hotel. And on the night of 2nd June, less than a mile away from our hotel and the conference venue, there was a devastating terror attack on London Bridge. My foreknowledge of the broad picture, but not the detail, undoubtedly caused me distress. I could give many other examples as I am sure could my astrologer colleagues, of being burned by this wonderful knowledge we have – which can also be so constructively helpful and illuminating both to us and to our clients. This post first appeared in my bi-monthly column for Dell Horoscope Magazine ‘The astro-view from Scotland’ in the November 2017 Issue. 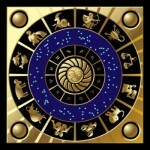 I’m most happy to be joining a team of quality astrologers who write for USA’s distinguished Dell Horoscope Magazine. As from January 2017, you can read my thoughts on a diverse range of topics – no, I’m not going to tell you what they are. Subscribe to the magazine, either by print or e-subscription, and you will find out! And – New Year Greetings and a big Thank-You to all my readers, likers and commenters who have made keeping this blog for the last few years such a fun project. Do keep dropping by, as this year – full of jaw-dropping uncertainties set in motion by the last one – gets under weigh. And – got any really interesting questions for me to tackle in 2017? If you do, let me know and I will do my best to find an answer for you.